When the town of Birka is raided by the most fearsome of Vikings, the Jomsviking, many of the people are captured. A group of orphans are forced to take action and lead their friends in a desperate attempt to rescue the captives. But not all of their allies are as loyal as they should be. The brave children are betrayed and find themselves in grave danger of captivity and risk being sold into slavery. Michael E. Wills was born on the Isle of Wight, UK, and educated at the Priory Boys School and Carisbrooke Grammar. He trained as a teacher at St Peter’s College, Saltley, Birmingham, before working at a secondary school in Kent for two years. After re-training to become a teacher of English as a Foreign Language he worked in Sweden for thirteen years. During this period he wrote several English language teaching books. His teaching career has included time working in rural Sweden, a sojourn that first sparked his now enduring interest in Scandinavian history and culture – an interest that after many years of research, both academic and in the field, led him to write Finn’s Fate and the sequel novel, Three Kings – One Throne. His interest in teaching children led him to start writing stories for young readers and in 2015 he published the first two of a quartet of novels for 8–13-year-olds in a series called Children of the Chieftain. Today, Michael works part-time as Ombudsman for English UK, the national association of English language providers. Though a lot of his spare time is spent with grandchildren, he also has a wide range of interests including researching for future books, writing, playing the guitar, carpentry and electronics. He spends at least two months a year sailing his boat which is currently in Scandinavia. "Bound for Home is imaginatively told to appeal to young readers and there is never a moment when the action doesn't deliver a real sense of exploration and intrigue. I've now been following this story from its beginning in 2015, and to see how the both the story and the characters have evolved over the course of this grand historical adventure has been a real pleasure to observe." 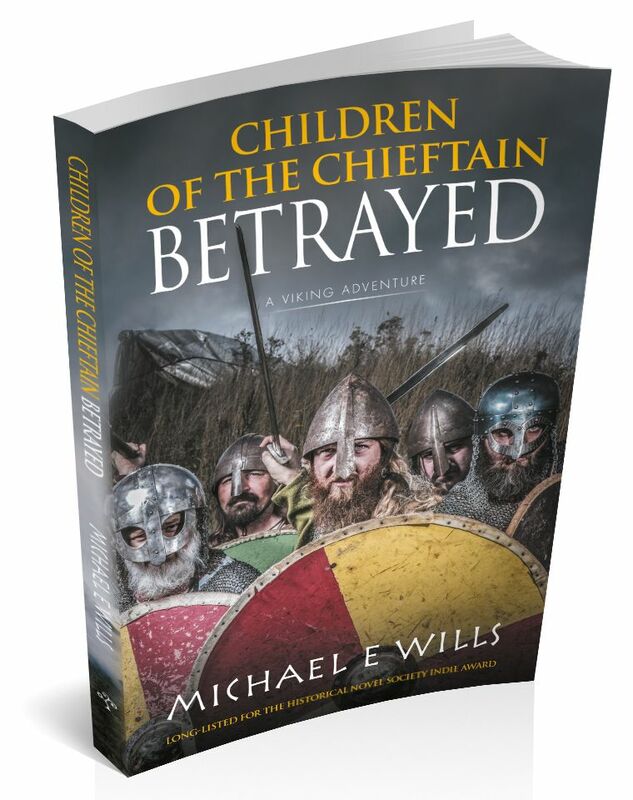 Children of the Chieftain: Betrayed has been long-listed for the Historical Novel Society Indie Award 2016. Take a look at what they had to say about the book here. Check out Mike's interview with Pam Lecky on her blog here. Read Mike's article on 'Myths, Legends, Books and Coffee Pots' here.